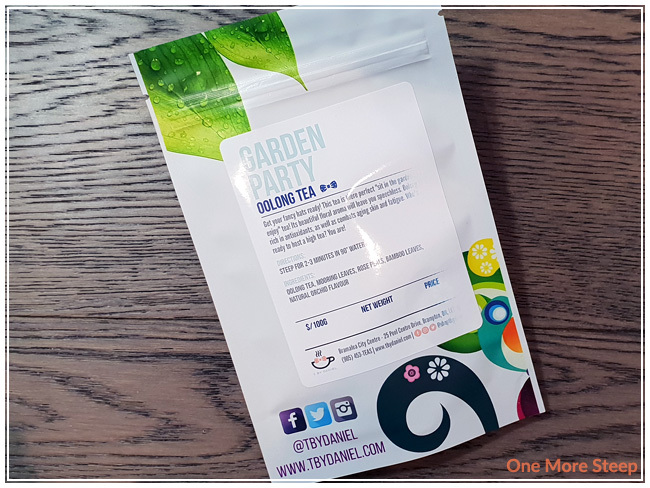 T By Daniel’s Garden Party came to me as part of The Sugared Teacup’s June themed subscription box. Garden Party came in a familiar matte foil bag, branded with T By Daniel’s information (and if you’ve never seen one of his bags, you should – they’re just so bright and cheerful!). 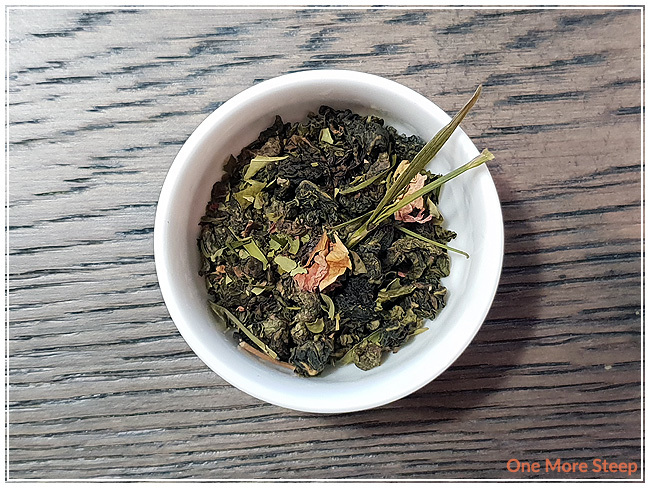 This oolong blend is incredibly floral, with a sweet aroma to it and quite beautiful dried ingredients to be seen. You can really pick out most of the ingredients, if you know what you’re looking for. Garden Party smells like walking through a garden without smelling like a bottle of perfume up your nose – which is much appreciated. Garden Party consists of: oolong tea, mooring leaves, rose petals, bamboo leaves, and natural orchid flavour. T By Daniel suggests steeping Garden Party in 90°C (194°F) water for 2 to 3 minutes. I used the oolong setting on my Breville IQ Kettle, which is 91°C (195°F). My initial steep of Garden Party was for 2 minutes. 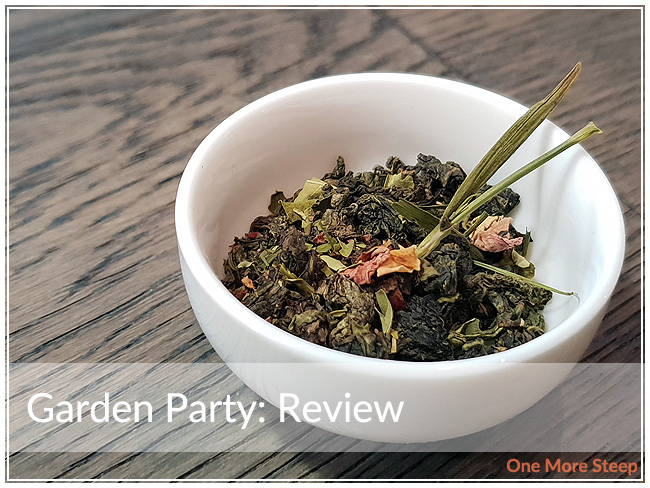 I resteeped Garden Party three times, adding an extra 30 seconds for each resteep. 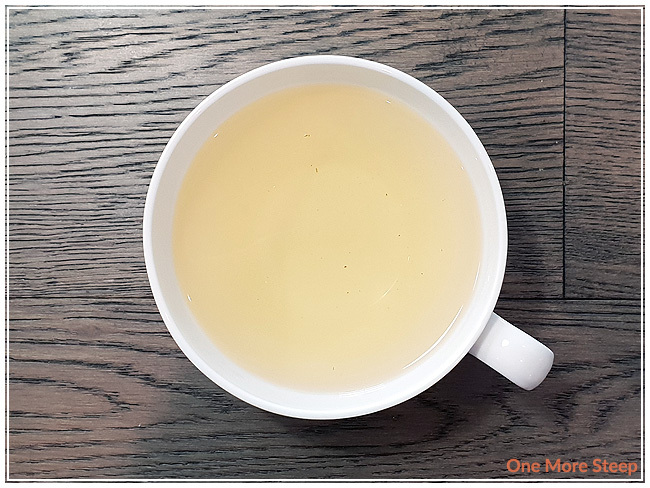 I found that the flavour profile stayed fairly consistent throughout – by the last steep it was more oolong base than floral ingredients. 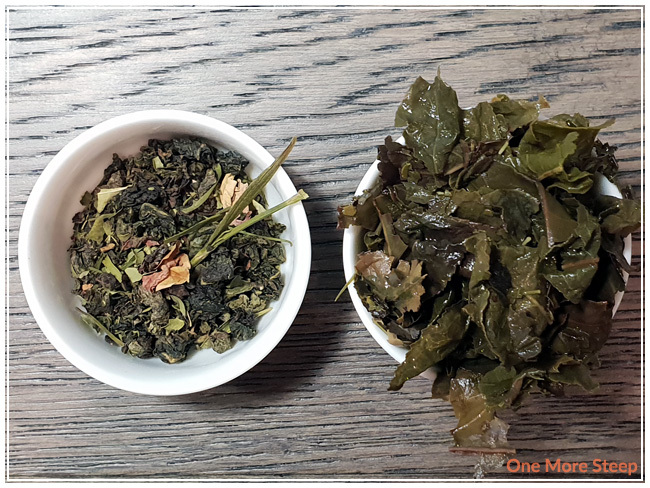 But the oolong stayed true to itself with the buttery notes with each steep. I loved T By Daniel’s Garden Party. I think the oolong base lends itself well to the added floral ingredients. The mix of floral and oolong would pair up well with afternoon tea goodies, I think. The buttery notes from the oolong would play off of the baked goods while the floral notes would balance well against the sweets (cupcakes! macarons! cookies! ).